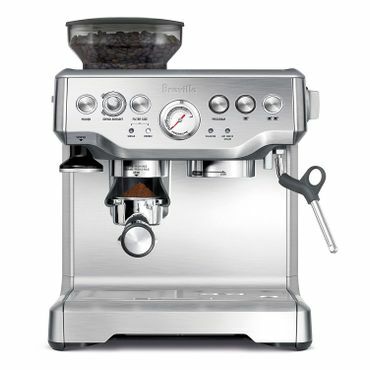 Breville, Mr. Coffee, ROK, DeLonghi and Nespresso will make producing delicious espresso-based drinks at home as quick and easy or as "tweakable" as you prefer. We also found a pod-style coffee maker that can compete with your favorite local coffee shop, but if you want to become your own barista, our recommendations for the best manual and semi-automatic machines will give you a happy buzz. Want to dip your toe into the home espresso machine waters without the financial ripples destroying your budget? Then the Mr. Coffee Café Barista is a great starting point. It makes an espresso-style drink that scores just as well in taste-testing as much pricier machines that are also more difficult to use. In particular, the automatic milk frother comes in for a latte love from owners This Mr. Coffee also gives you the option of using pods when you're really in a hurry. It also comes in white, red and stainless, to match any kitchen décor. If you want to customize your coffee drinks without having to acquire professional barista-level experience, then you'll want to consider the DeLonghi Magnifica. 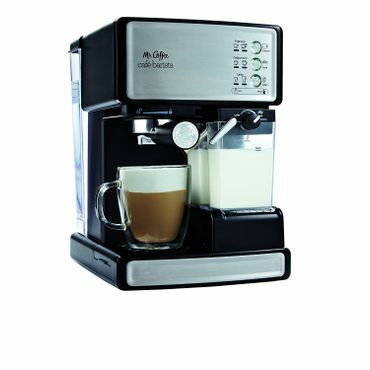 It gets raves from coffee lovers for its simple interface and big performance. Just choose the temperature, coffee strength and cup size, and enjoy delicious espresso-based drinks with the touch of a button. The integrated coffee grinder is a top performer as well, but there's a bypass doser if you just want a cup of pre-ground coffee. Even the generous, 60-ounce water tank is easy to access from the front. Yes, Nespresso coffee machines are as easy to use as the commercials make them look. And as versatile. And yes, unless you're just a super-taster when it comes to coffee, the results are delicious. 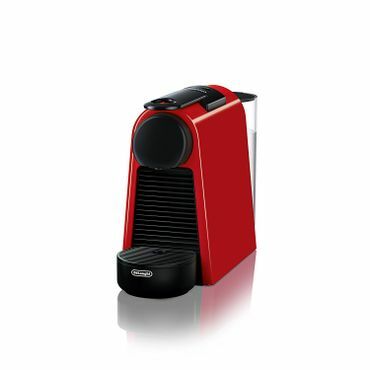 In the Nespresso line, experts agree that the small, very affordable Nespresso Essenza Mini is the best of the bunch. 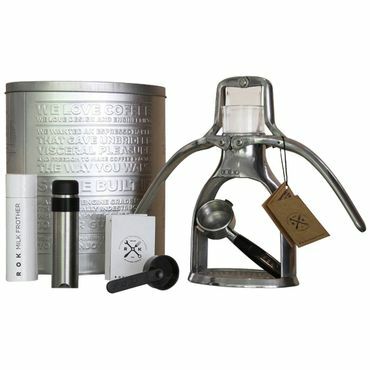 This espresso maker works exclusively with the Nespresso OriginalLine pods and makes two cup sizes, 1.35 and 3.72 ounces. It will also be an attractive addition to your kitchen counter as it comes in two different shapes, and both come in three colors. These are the most popular type of espresso maker and are widely considered to be the best type of espresso machine for most users. They have some automated features, like temperature controls for the boiler, a pump, and switches to activate the pump. You control when the pump is turned off and on, which means you can decide when to pause the brew to adjust the strength and flavor of the final product. A few include a grinder, but most don't. Ranging from lever-style machines to stove top moka pots, these espresso makers are hands on from start to finish. Lever-style machines can be difficult to learn and to use, because they require quite a bit of tweaking, and you can't expect much consistency unless you're a pro or until you've had a lot of practice. However, these are the choice of true espresso aficionados who like to control every step of the brewing process for the ultimate in customized brews. Stove top moka pots, sometimes referred to as "the poor man's espresso machine," make a strong, complex coffee that is close to espresso. They are easy to use and very inexpensive, but still very hands on. As the name implies super automatic espresso makers are much easier to use because they are fully automatic from the beginning of the process to the end. They grind the beans, dose (transfer the ground beans to the basket), tamp (compress the ground coffee), extract (the process of mixing the coffee with the water to get your beverage), and, finally, eject the waste. Purists don't like fully automatic machines, preferring some degree of hands on brewing, but a good super automatic espresso machine can make great espresso without much hassle. Espresso machines designed for home use are popular with coffee lovers who love a perfectly personalized shot of espresso. Espresso is also the base for other specialty coffee drinks like cappuccino, latte, Americanos and other concoctions that add water or warmed milk to the espresso shot. However, you may need additional equipment, such as a milk frother or stainless steel frothing jug for that expanded repertoire. Most espresso machines use ground beans, and one of the most important things to know about an espresso machine is that unless you opt for an espresso machine that includes a grinder, you MUST have a top-quality coffee grinder, and we cover some great choices in a separate report. Experts and users all agree that this is important because the best espresso is made from the freshest beans and using the correct grind. For those willing to sacrifice espresso perfection for convenience, some espresso machines use pods (pre-measured, pre-ground and pre-packaged coffee), however, either exclusively or in addition to ground beans. All of the espresso machines in this report are pump-driven machines -- the only type that makes real espresso. Steam-driven units are less expensive, but can't brew true espresso because water is forced through coffee grounds at only one to three bars of pressure, far less than the minimum nine bars required to make espresso (one bar is equal to the air pressure at sea level). 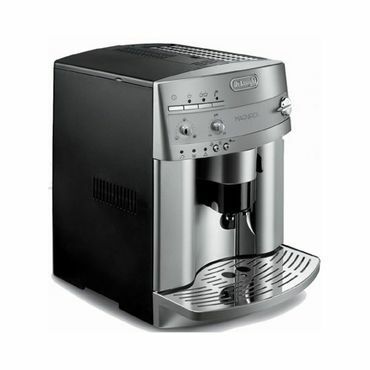 With a steam-driven machine you are brewing concentrated coffee, rather than espresso. Do you need a coffee maker instead? Espresso refers to a special preparation of coffee beans for a small, concentrated shot of coffee.. You then consume it over a fairly short period of time. Think of it more as a snack, rather than a full meal. Making espresso can also be a hassle, quite frankly, and requires time, dedication, patience and, often, a good chunk of change. We read many a lament by people who were hoping to be able to make espresso at home and found that it is not as easy as their local barista makes it look -- even with a high-end machine. Those who don't have the time and patience will need a super automatic machine or a pod-style espresso maker instead of a semi-automatic or manual machine. Also, an espresso machine is not a coffee maker. If you're the type who likes to sip coffee all morning, or are making coffee for a crowd, see our report on coffee makers. If you like a cup of fresh coffee whenever you feel like it and like a high degree of variety with each cup, see our report on single cup coffee makers. While there aren't a lot of professional roundups or tests of espresso machines, we found a few quality expert sources, including Cook's Illustrated, Reviews.com, Wirecutter and CNET. We also looked at reviews of individual machines by knowledgeable editors of coffee-oriented sites like Home-Barista.com, Seattle Coffee Gear, and Whole Latte Love. Even more important, we evaluated hundreds (sometimes thousands) of owner reviews to determine how each of these machines work in real-life situations. The results of our research are the best espresso machines available, from high-end (and high-priced!) machines that do all of the work for you, to the best, manual, hands on models that allow you to customize every sip.